It costs five times as much to attract a new customer than to keep an existing one, and the probability of selling to an existing customer is 60-70% versus the probability of selling to a new prospect is 5-20%. 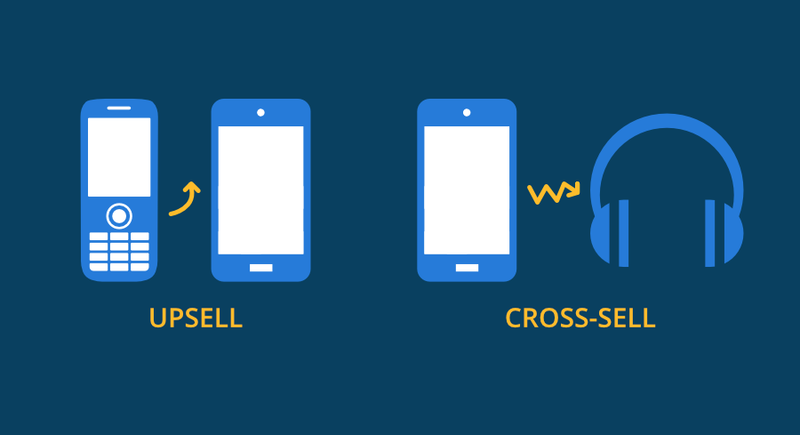 The numbers say enough—cross-sell and upsell should be a priority to drive growth. Organizations know they need to drive growth and revenue because growth is a corporate imperative, but often they don’t know how they can get there. To drive growth organizations can improve white space visibility and understand how to fill white space. One way to fill white space is to drive better cross-sell and upsell opportunities and improve analysis. White space is the gap between what products or services your customer has invested in, and the other products or services that your organization has to offer. A way to identify white space is to build a profile of similar customers, using characteristics such as industry, size, territory etc, and use these profiles as benchmarks. From this profile of similar customers, the gaps will become apparent. Customer A who is very similar Customer C did not buy these products, why? The “gaps” that are identified is the white space, and a reliable prediction about what kind of products they might buy next can be made. Understanding and knowing what product a customer may need next will drive cross-sell and upsell initiatives. Let’s use the example of an insurance provider supplying insurance to the aviation industry to highlight how cross-sell and upsell opportunities can fill white space. Airlines are in the business of flying people from point A to point B and all airlines need insurance. If we are trying to identify white space, there needs to be a starting point or a profile to benchmark companies. As a starting point, an insurance company knows that all airlines have aviation hull insurance and know that airlines have aircraft, buildings, fleets of cars and all kinds of liability. Since they have aviation hull insurance, the next question is what other types of insurance might they need? Where is the cross-sell opportunity in all this? Airlines are usually building new additions on site, and for this reason, they may need construction insurance. The profile that has been built will identify the airlines that have aviation hull insurance, and meet certain characteristics, but do not yet have construction insurance. This is the opportunity, this is the white space that needs to be filled. Existing customers are 50% more likely to try new products and spend 31% more when compared to new customers. It’s time to get on the phone and inquire with them about their construction insurance needs. It turns out airlines can be quite predictable about insurance needs based on one indicator: how many aircraft they have. How many aircraft they have is closely connected to how much revenue they have, and in turn, how much insurance they may need. As an account manager, I know there are six airlines in my territory with X amount of aircraft, so it is expected that they would purchase a certain amount of aviation insurance based on this number. All six airlines have purchased some type of insurance from me, but only four of the airlines have purchased aviation insurance, so that means two of the airlines must be getting their aviation insurance from a competitor. The two airlines have been identified as the gaps. With this information, identify the account manager responsible and get them on the phone and see how a deal can be sweetened so they are convinced to purchase aviation insurance from us and not one of my competitors. Identifying white space gives organizations additional insight into customer buying trends across different attributes such as products purchased, additional and potential demands and influencing factors. The ability to identify white space and fill it through finding cross-sell and upsell opportunities and then monitor how well you are doing across the sales organization is incredibly valuable. Vortini achieves greater efficiency to quickly discover cross-sell and upsell opportunities by identifying white space and finding “selling nuggets” through relevant insights. Subscribe to our bi-weekly newsletter in the right-side panel under Friday’s Five Minutes on Sales Effectiveness. In an upcoming email, we will explore cross-sell in more detail. Contact us today to learn more about driving growth in your sales organization. Jess is a communications professional and Vortini’s lead content/web developer. Her current interests lie in the intersection of sales technology and machine learning. In her free time she reads a book-a-week, practices yoga, and is an avid gardener.